Windy weather in need of new fence posts and panels? As you can maybe see if you look at your fencing now, the bottoms are all wet if touching the wet ground. This will help rot the wood and reduce the live of your fence by weakening it. If your have a board style fence closed board and plank style and the bottom has all rotted then you could cut that away. Then buy some 1ft high gravel boards that are made of concrete and will never rot. Then secure in place. This is a quick fix and saves you money and time but NOT ideal. 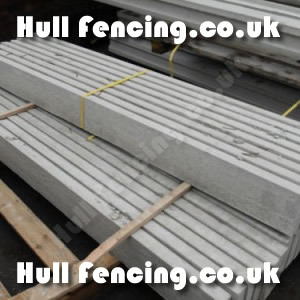 If however your fitting fencing panels whether lap fencing or closed board style take a foot off the height you want it and order a run of our concrete gravel boards. This will stop the damp and wet rising up and weakening your fencing. We stock many sizes of gravel boards please call for more details.